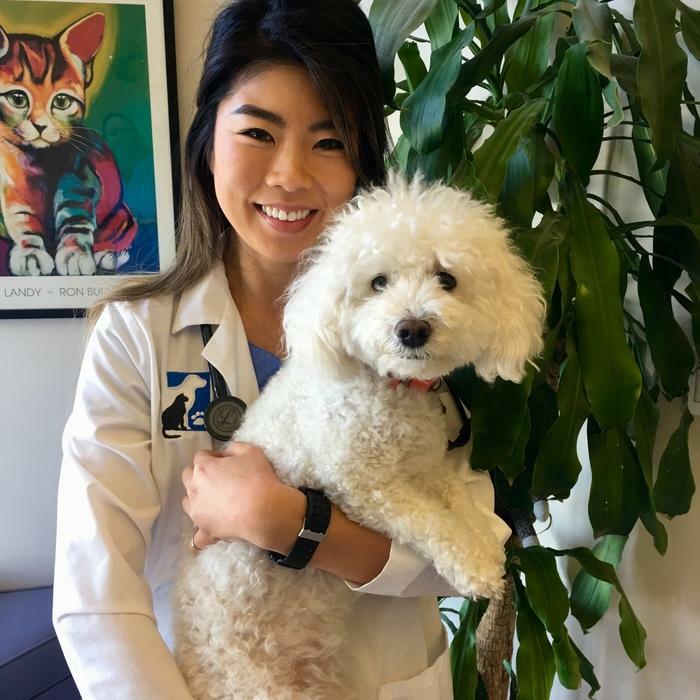 Anne Lai completed her undergraduate education (B.A., Biology) at Harvard University and received her degree of veterinary medicine from the University of California, Davis. 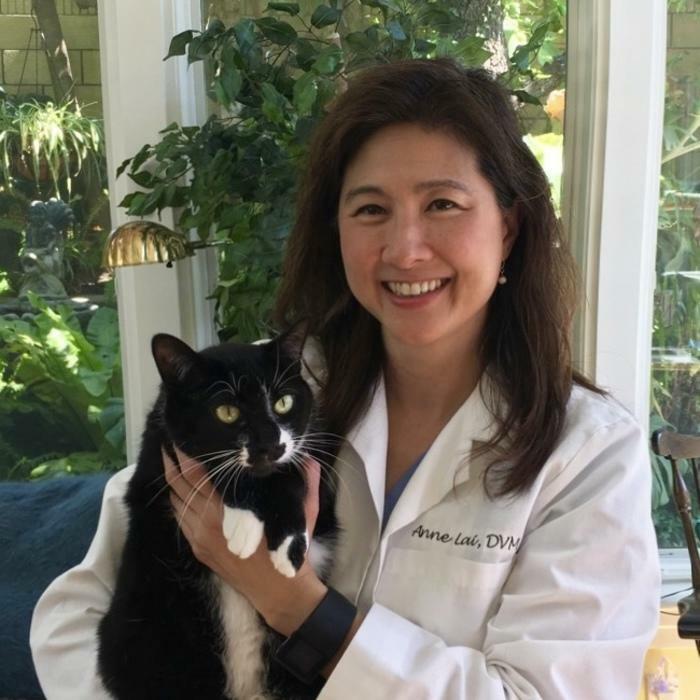 Her professional interests include general surgery, internal medicine, dermatology, and preventive care. She is also actively involved in educational/mentoring programs for students of all ages. She enjoys spending time with her dog Zoe and is an avid reader, traveler, hiking/sports enthusiast, and music/art aficionado. The Ohio State University, D.V.M. 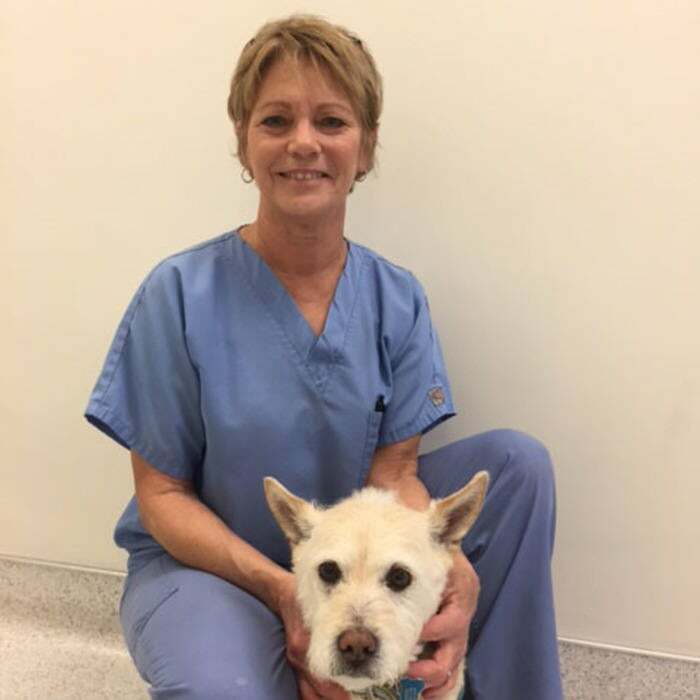 Debi has been a veterinary receptionist since 2004. She lives in Irvine with her husband of 26 years, their two children, her dog Finn, and her cat Montana. She is an active member of the local community and is particularly involved in her children's school programs. 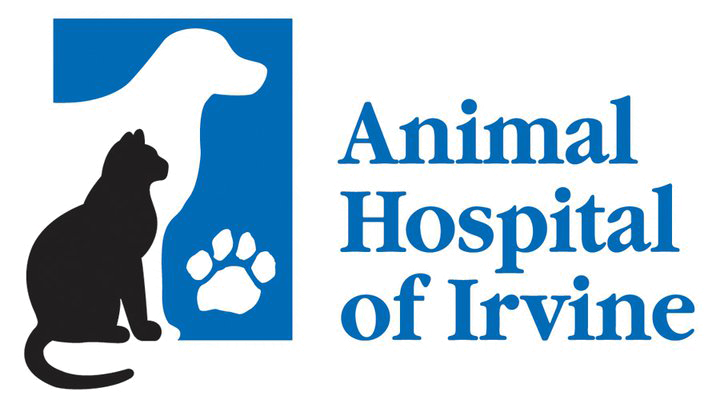 Tammy has held a deep passion for animals from a young age, aspiring to be a veterinarian since the age of 8. She shared her childhood with several pets, including cats, dogs, guinea pigs, hamsters, fish and iguanas. 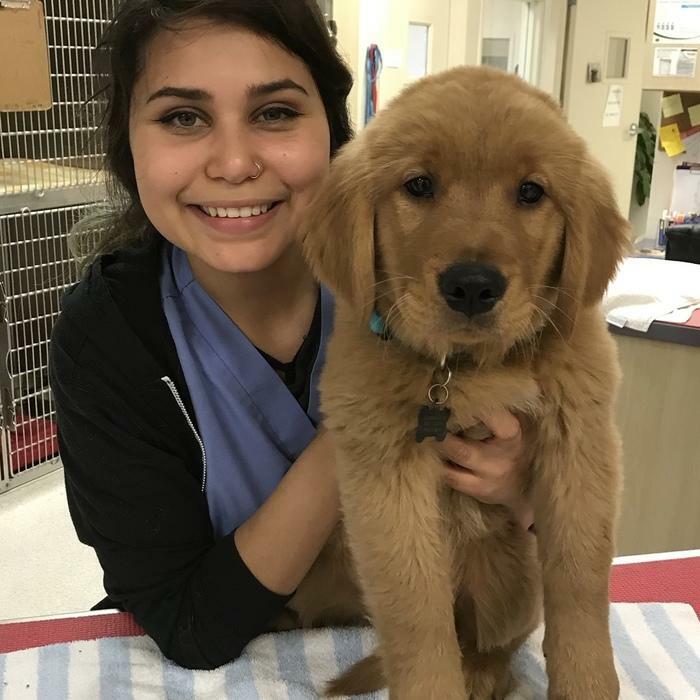 She is now pursuing a degree as a Registered Veterinary Technician through Heritage College, while in her free time she enjoys movies, miniature golf and watching football with her fiance and family. Wendy has been working as a technician assistant since 2002. She is a resident of Irvine but her roots are in a small farming community in Illinois where she spent many years working as a physical therapy assistant. She is a mother of three and an avid animal lover. She lives with her husband Dan and their cat Simon. 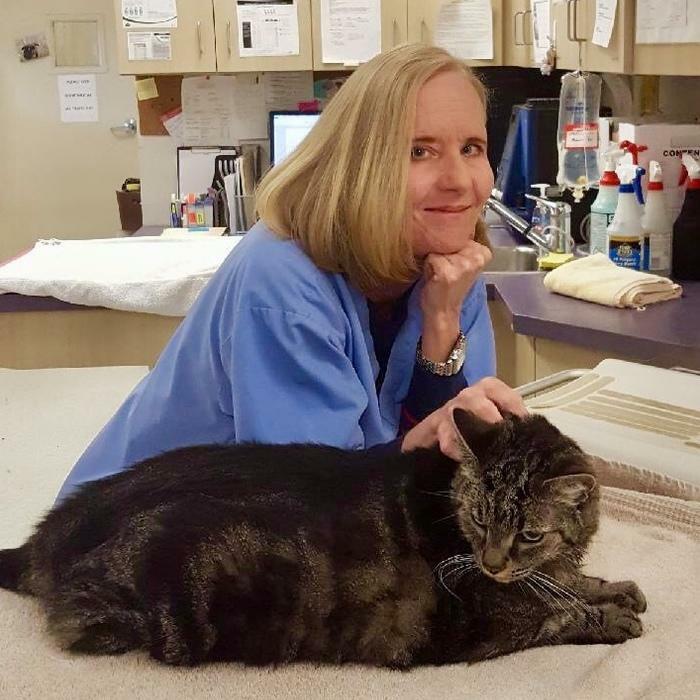 As a technician assistant Veronica lavishes the pets with TLC and loves all their quirks. She is continuing her education towards veterinary school and takes care of cranky cat Tigger and hyper Chihuahua Tina at home. She also enjoys artwork, scary movies, and nature films. 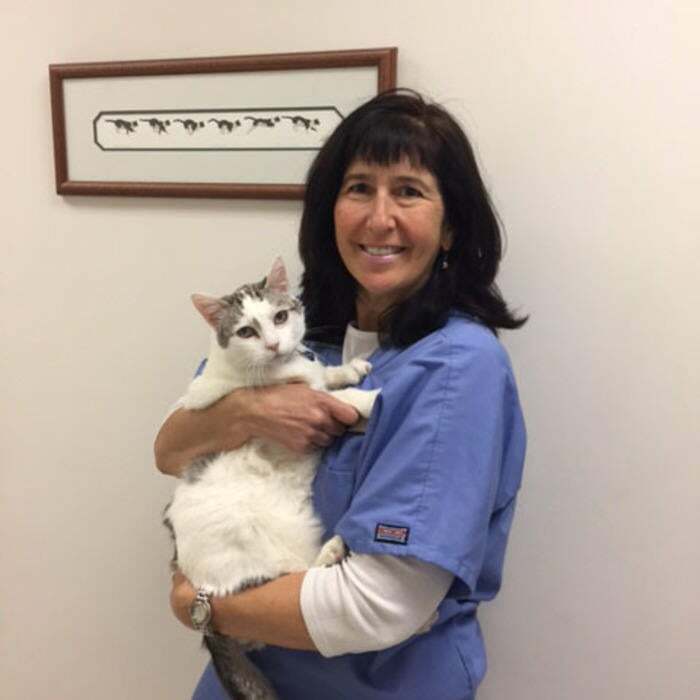 Allison has been working in the veterinary field since 2000. Originally from St. Louis she now calls Irvine home. She shares her life with her husband of 20 years and their cat Iggy. 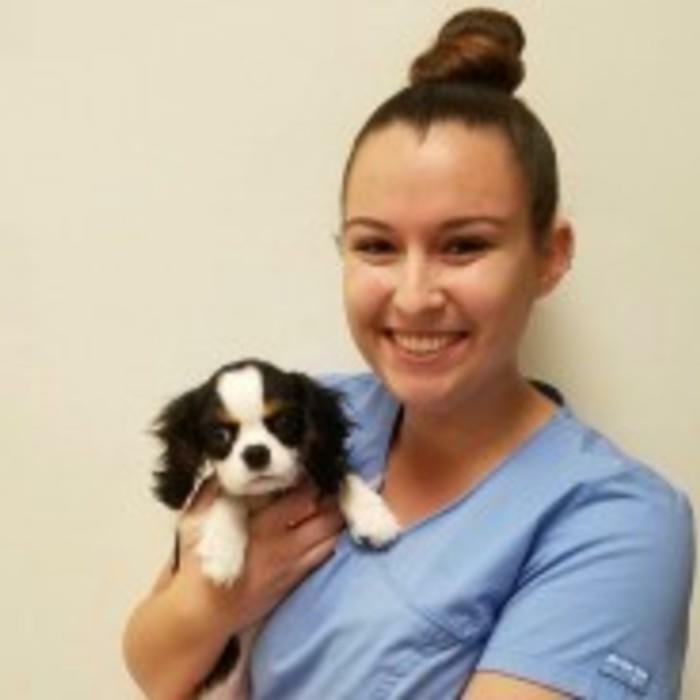 Alexis is a registered veterinary technician (RVT) who obtained her Bachelor’s of Science in Animal Health Science from California State Polytechnic University, Pomona. She shares her heart and home with her Golden Retriever, Maggie, and enjoys spending her free time watching movies, attending concerts, and having a blast at Disneyland! 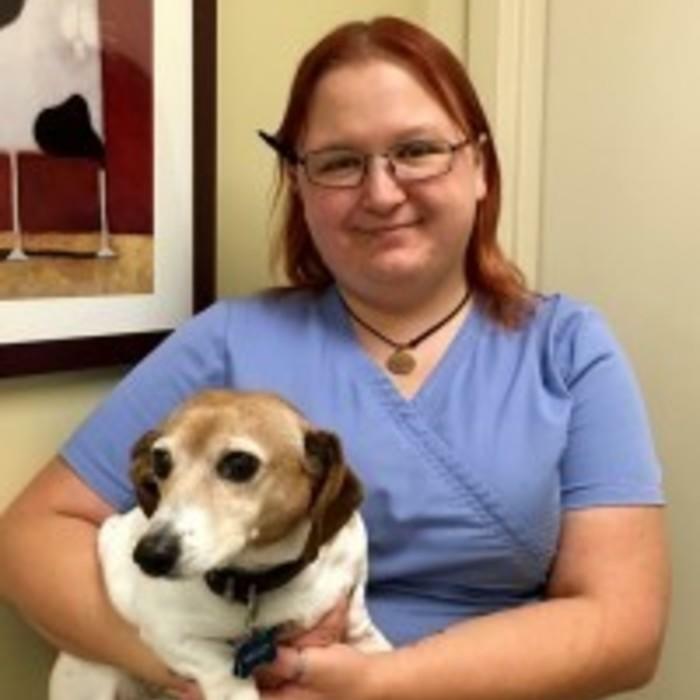 Heather has been working in the veterinary field since 2005 and is currently working towards a degree in Biology. Heather loves all animals including reptiles, amphibians, fish, and “creepy crawlies.” In her free time she enjoys drawing, sewing, and watching movies. 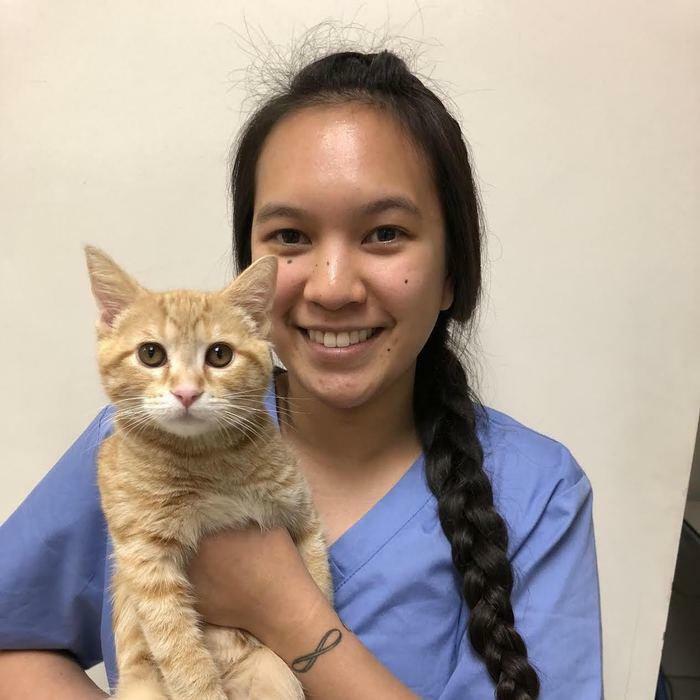 Sean has been working with veterinary patients since 2010 and is currently pursuing her studies to become a Registered Veterinary Technician. During her free time she enjoys hiking, spending time at the beach, visiting the tide pools, and simply being out in nature. She shares her home with her cat "Pumpkin," dog "Basil," and tortoise "Edamame." 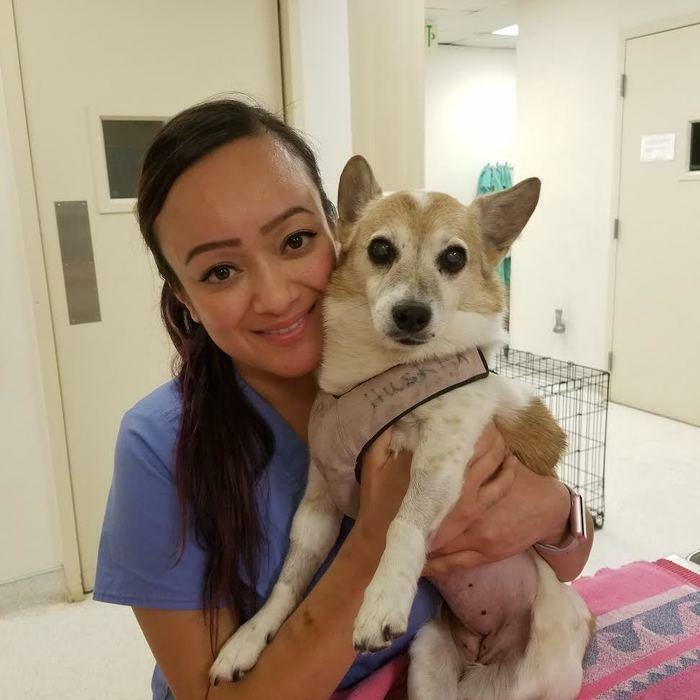 Mayra moved to California from Arizona when she decided to leave the legal field to pursue her dream of working with animals. 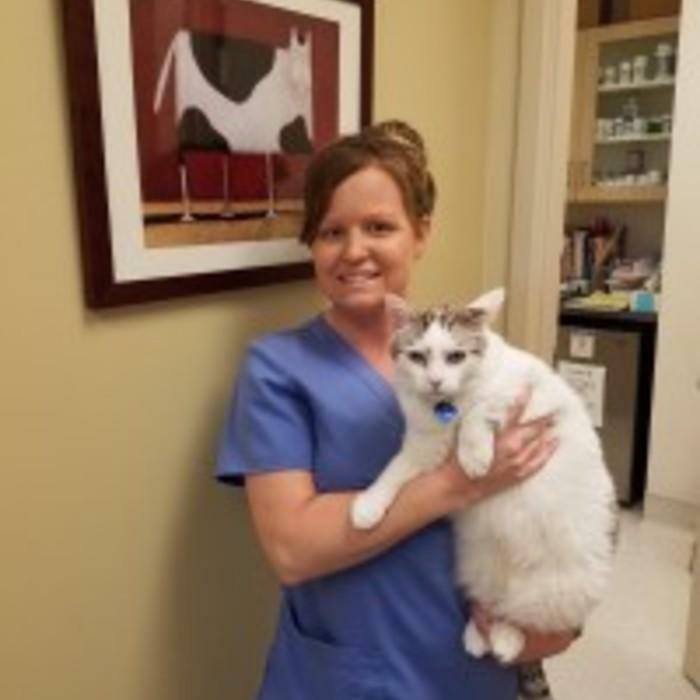 In 2018, she graduated from Standbridge University with a degree in Veterinary Technology. She shares her home with her husband and her two furry companions-- a Pit Bull named Sophie and a St. Bernard named Penelope. In her free time, she enjoys swimming, traveling, and doing yoga.